Another option we have from Norwell Lighting is wall sconces, which are popular in residential and commercial spaces. They add a little something to the interior of any home and define any space in any room. They are great to highlight mirrors and artwork by installing them on either side of a piece. This will illuminate the piece and it will give it a certain tone. We have a lot of sconces that will suit any home, and one example is the one light sconce. The Norwell Apollo one light wall/bath sconce with an LED night light looks modern, and it will add elegance to your home. The Apollo has a down light at the end of the stem and a medium based light which will brighten your home. Moreover, it has a light sensor that turns the LED on when it gets dark. Looking for something classy? Our Norwell chandeliers will accomplish just that. It works well in a dining room, and it will make your family gatherings even more special. It is integral to illuminating a dining room, and it will create the ambiance you need. There are a lot of styles and sizes you can choose from such as European castings and mouth-glass, as well as transitional styles. Furthermore, all of our chandeliers are manufactured and handcrafted in Norwell’s facility in the United States. However, our styles don’t end there. We also have Norwell pendants, and they are influenced by the transitional and contemporary styles. They are unique, but simple as well. 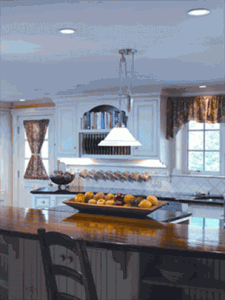 Our pendants will add a warmness to your kitchen, and a good example is our Norwell Lighting 1-Light Windsor Pendant. This pendant includes a stepped diffuser, and one lamp which will illuminate any kitchen island. These are just a few of the many choices that you have, so please visit our website today to browse through our Norwell lighting collection.